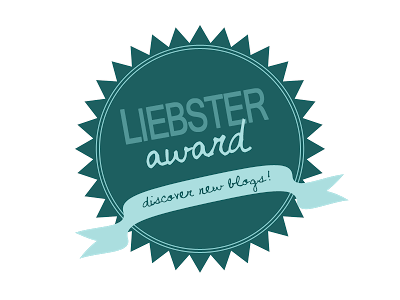 The Liebster award is given by fellow bloggers to new blogs with smaller followings but huge potential; it is a great way to find new blogs as well as support one another. I can’t believe that I was nominated for this award by the super-sweet Lexi of Streets of Gold– thank you so much for thinking of me (and reading Girl Meets Bow)! Without a doubt, I am planning a “bucket list” trip to Italy at some point in my life. I studied Art History in high school and college and I just fell in love with the culture and history of the country. My dream is to travel all around Italy for several weeks exploring every last inch of it- taking it all in (and eating lots of pasta and pizza). I can’t wait until that trip comes! 2. What’s your favorite season and why? I just adore Spring! There is something about the bloom of new flowers, the sunshine that always seems to be in the sky, and the bright colors that fill up my view- these things just make me so very, very happy! I adore wearing color (no matter what time of year) but spring is just the perfect time to fill your closet with all those fun, bright pieces that will fill up your every day with sparkle! Flats all the way! I’m always running around and juggling a lot of different commitments, and it’s a lot easier for me to take on all those tasks when I am in a fabulous pair of flats! Ohhhh, that is a tough one! I have a total sweet tooth- cake, cupcakes, cake pops- I could devour them all! I can smell something sweet a mile away- and love to take afternoon cookie breaks! 6. What’s in your handbag? I think the better question might be, “what’s not in my handbag?” I always win the bridal shower game of who has the most random things in the purse- ’cause just about everything is in mine. Strangest thing that is in my purse though… static-cling spray! I picked up a can when I was living in Kansas and it was so dry in the winter, but now I always have one in case the fabric of my dress is causing me to have a fashion emergency. It’s come in handy in many a situation! I hate to be a disappointment but I just don’t get embarrassed very easily! I am such an open-book person that I tend to just take life (and potential embarrassing moments) in stride. I have the sweetest, snuggliest pup in the world! 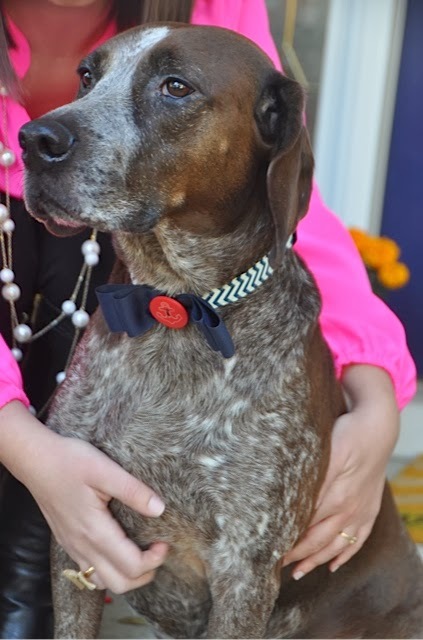 He is a German Shorthair Pointer/Hound mix named Buddy and he just turned 6 years old this month! I can’t imagine not coming home to his wet kisses and warm snuggles- he is just the best lil thing ever! 9. Fly or road trip? Fly. I’m the absolute worst road-tip companion; without fail I fall asleep in the car after about 15 minutes- wheels on the road are like a lullaby to me and I can’t keep my eyes open! I’d rather have a quick flight than fall asleep on a driver- plus then you get to your destination faster and get to start having fun sooner! 11. One thing we probably don’t know about you? Totally embarrassing to admit… but I am terrified of down escalators (not the ones going up, just down)! I ended up straddling one when I was younger and ever since then I can’t get on one without about 15 tries! 1. What is your dream job (if money were no object)? 4. How do you spend a perfect Saturday? 5. Favorite stores to shop? 6. Favorite item of clothing you bought last year? 7. What’s your go-to coffee order? 8. Perfect “cocktails with the girls” outfit? 9. What TV show makes you laugh out loud? 10. Any pets (or pets you want)? 11. What is one fun fact about you? Thanks again to Lexi for nominating me for this fun award- blogging has been such a blast and I can’t wait to see where the blog goes this year! PS- HAPPY BIRTHDAY week to my favorite lil man in the universe! You make being your mamma so much fun and bring joy to every day! I love you my lil boo bear! What an adorable pix of Buddy!! And the collar Mallory found at the Longwood Arts and Crafts Festival looks terrific on the little man! P.S. I can vouch for her answer to #11…. her dad and I went down as escalator when she was a young girl and thought she was right behind us. She wasn't. We got all the way down and realized she was still at the top, scared. Luckily a wonderful nice woman rode down with her and made her feel safe. She was never the same since (around escalators). TYJ….. Thanks for backing me up Mom! So excited for you and GMB! It's a fabulous blog, and I know it will continue to be a huge success in 2014! Also… happy birthday, Buddy! Aunt Asha loves you and your mommy very much!